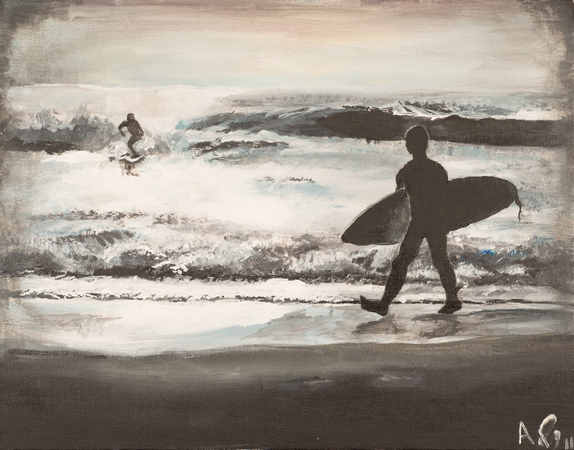 The Surf | 11" x 14" | Acrylic | This painting is based off a photo I took at the beach in San Diego, California. It captures surfing as a hobby. I changed the original contrast of the photo to pure black and white when i created this painting. The white and black contrast signifies the simplicity of this hobby, but hides the difficulty of actually learning how to surf.